Arlene Mayerson Directing Attorney, Disability Rights Education & Defense Fund, Inc. (DREDF) Arlene B. Mayerson has been the Directing Attorney of DREDF since 1981. One of the nation's leading experts in disability rights law, she has been a key advisor to both Congress and the disability community on the major disability rights legislation for the past two decades, including the Handicapped Children's Protection Act as well as other legislation ensuring the special education rights of students with disabilities, and the Americans with Disabilities Act (ADA). At the request of members of Congress, Ms. Mayerson supplied expert testimony before several committees of Congress when they were debating the ADA. She filed comments on the ADA regulations for more than 500 disability rights organizations. Ms. Mayerson has devoted her career exclusively to disability rights practice, representing clients in a wide array of issues. She has provided representation, consultation to counsel, and coordination of amicus briefs on key disability rights cases before the U.S. Supreme Court. She was appointed by the Secretary of the U.S. Department of Education to the Civil Rights Reviewing Authority, responsible for reviewing civil rights decisions of the Department. In addition to her position at DREDF, Ms. Mayerson is currently a lecturer in disability law at the University of California, Berkeley (Boalt Hall). 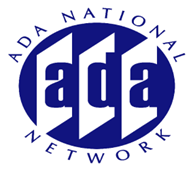 She has published many articles on disability rights and is the author of a comprehensive three-volume treatise on the ADA: Americans with Disabilities Act Annotated-Legislative History, Regulations & Commentary (Clark Boardman Callaghan, 1994), which sets forth the legislative history and regulations for each provision of the ADA.